London, 14 March 2016 – Marlink has been selected as Carisbrooke Shipping’s preferred partner to provide the satcom solution for its fleet of modern dry cargo and multi-purpose vessels. Carisbrooke plans to improve vessel and fleet operations with greater access to data-centric applications made possible by higher and more available bandwidth on the Marlink Ku-band VSAT (Very Small Aperture Terminal) service. The delivery, which is expected to be complete by the end of the year, includes the sophisticated XChange BYOD (Bring Your Own Device) solution. The system will enable Carisbrooke Shipping crews to communicate with friends and family using their own smartphones, tablets and laptops. Carisbrooke Shipping owns and operates its fleet from offices in Cowes (UK), Zwijndrecht (Holland) and Bremen (Germany). All key aspects of ship management are covered by the group, including chartering/operations, technical and safety management, crewing and financial administration. The company has developed a large fleet of fuel-efficient vessels in recent years. The new monitoring and remote support capabilities enabled by Marlink VSAT will further support the efficient and smart operation of this well-established fleet. 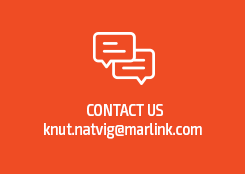 Marlink VSAT enables Carisbrooke vessels to benefit from throughput up to 1028 Kbps (downlink) and global coverage with unlimited MSS (L-band) back-up in addition to Local Numbers and Virtual Private Networks (VPN). The VPN service is considered to be extremely valuable by Carisbrooke, allowing remote control of IT equipment and systems on board and inevitably leading to simplified IT management and increased reliability. All Marlink installed vessels will use the Xchange communications management platform, which handles automatic switching between satellites including seamless transition to the L-band back up system in addition to enabling remote access and streamlining administration. Carisbrooke Shipping also joins the growing number of crew focused shipping organisations that understand the benefits of providing flexibility for crew communications at sea. XChange BYOD is a ready-to-use Wi-Fi solution and comes with apps that provide voice and data access for crew using their own smartphones, tablets or laptops. The unique system ensures straightforward account administration while simplifying payment using pre-paid cards, making cost management and control easier and more transparent for vessel management and individual crew members. “Marlink VSAT will complement an already modern fleet, allowing Carisbrooke to operate smarter and to support the changing communication needs of its seafarers wherever they are operating,” added Tore Morten Olsen, President Maritime, Marlink.